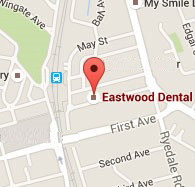 New to Eastwood Dental? We focus on personalised care for all of our patients. Our experienced clinicians are friendly, caring and are focused on your overall health and wellbeing. Right from your first visit, your treatment plan and overall experience will be customised to suit you and your family’s needs. In order to provide the best service possible, we will listen attentively, and will plan with you, to address your concerns during your initial consultation. Our team will manage your concerns and expectations to ensure you leave satisfied. Are you a Bupa member with Extras cover? Click here to find out about our no gap new patient appointment availble today.